The Völkl Split & Freeride Camp beats all expectations. Starting with luxury accommodation, going to excellent food and SPA up to great splitboard touring. We play the "Tuning Fork Of God" and enjoy amazing views to the Großglockner in Austria. Where does he come frome? It is Friday the 14/03/2014: In the afternoon we meet at Gradonna Mountain Resort to participate at the first Völkl Split & Freeride Camp, under the direction of Freeride World Tour winner Aline Bock. The weather is sunny, the mood is good and everybody motivated to have a good splitboarding weekend. 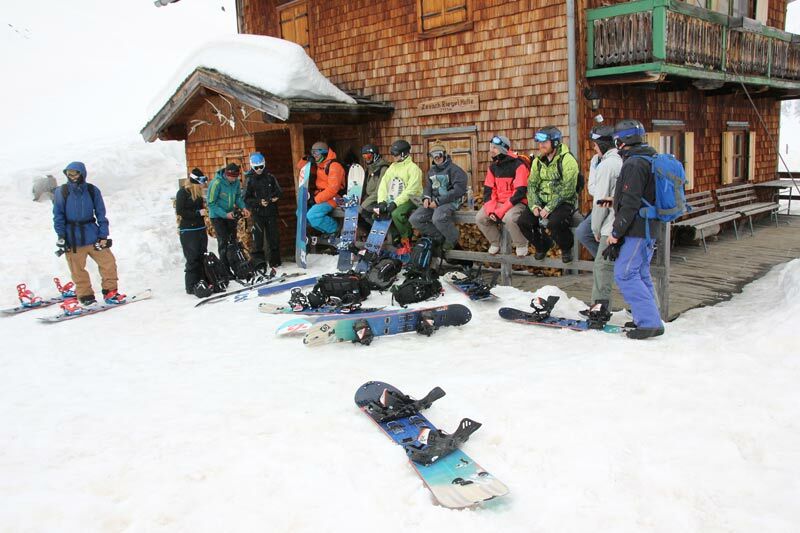 After the check-in at our luxury chalets for 8 people, and the first small talk with organizers and participants, we go to the introductory course "Splitboarding & Safety" in which we can learn a lot about danger in “real” backcountry snowboarding. After that, we got briefly presented the variety of demo material. Now it´s time for dinner. We get an elegant 5-course dinner and an incredible salad buffet. After extensive conversations, mainly about splitboarding, snow conditions and the anticipation of the first touring day, we go right after dinner to prepare the material. We assemble the Völkl Untrack splitboards getting familiar with the touring equipment. So the next day everything will go smoothly and we can enjoy the first touring day properly. Saturday, 03.15.2014: After a hearty breakfast with everything you can imagine and more, we meet at 8.30 am. First of all we take the lift up to the skiing resort Kals at Großglockner. After a few test rides we decided to do an advanced route up to the Roter Kogl which just had a few tracks. Said and done - in a short time we mount our splitboards and start skinning up at moderate speed. During the tour, tips are given to the participants regarding skinning technique and kickturn techinque. The snow conditions change from a solid crust up to wet snow. Steeper and steeper we are climbing a broad gully. 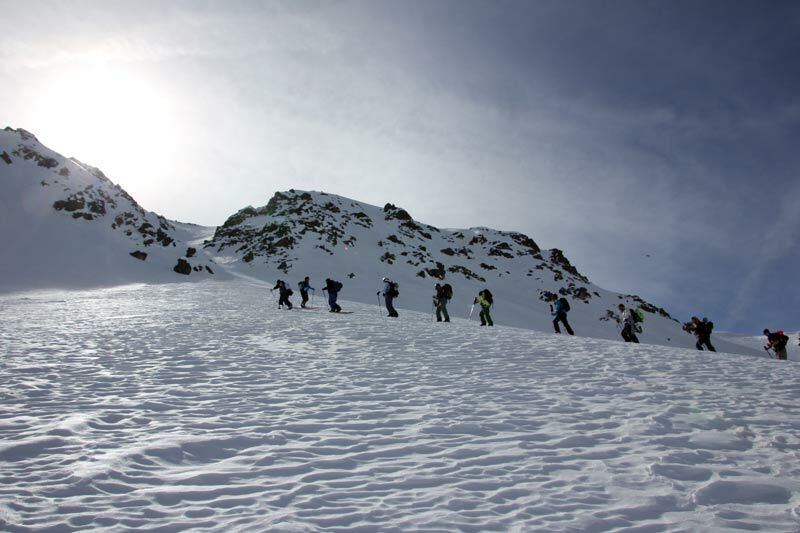 The last few meters are overcome with the splitboards on the backpacks and then we reach the first plateau. A little break, some water and snacks and than we head in flat area to the first demanding summit traverse which requires some confidence in oneself and the material. For safety reasons, we mount the crampons and everybody is able to make the travese quite relaxed. At the summit itself there was relatively little space for 16 people, but we enjoyed the wonderful mountain world with it`s views to the Großglockner and the other sixty-two 3000 meter summits. We take the summit snack and scout our possibly descent options. We play the “Tuning fork of God”, as the summit cross is called and delight us with good humor in photography. The decision is made. Half of the group goes down to a discreet desecent and the other half wants to know it and goes on for a northern exposed descent, to find some untouched pow like snow. Relatively steep, it goes into some powdery and windpressed snow down to the valley and all are stoked by the first amazing splitboard tour day. Back in our luxury chalets we throw us in the white robes (unfortunately without hood), wander through the vast corridors up to the SPA area of Gradonna Mountain Resorts. Now we do some wirlpooling, sauning and relaxation, relaxation and relaxation, until we can experience the next safety session with Aline at 19.00 o´clock. 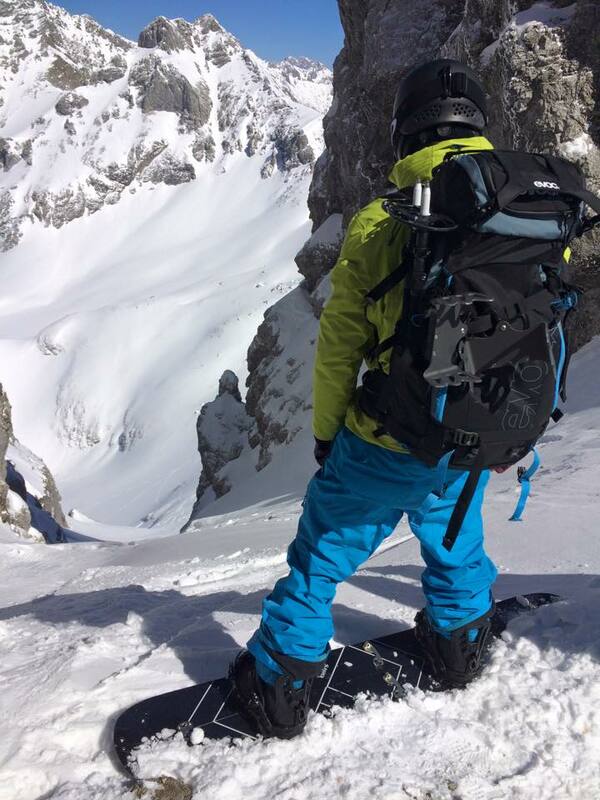 With video presentations and insider information from the life of a snowboard pro the issue of security in backcountry snowboarding is further clarified. Now its time for dinner again. The next session in fine dining awaits us and we indulge again of gluttony. At the bar we philosophize about our sport and talk about God and the world. We are curious what will bring the next day, because the weather is announced with strong winds and so it will not be optimal for touring. We rely on the knowledge of the guides and go to bed, full of anticipation for the next day. Sunday, 3/16/2014: After the usual back and forth before touring we swing into the cars and drive a short distance to the starting point. Mostly it's now about learning the basics in transceiver search, probing and shoveling. After a short hike, we reach the beautiful Lesach Riegel Hut at 2131 meters. We drink tea, water and beer, eating fresh bread pizza and mini Kiachl, while the mountain guides Michl and Peter buried the material for the beacon exercises. Here we go, at high speed or very slowly we do the beacon exercises, probe and dig. With the taste of a firsty AVY experience, we make a fun ride back down to our cars. Conclusion: The first Völkl Split & Freeride Camp was a great success. Wonderful nature, nice people, great food, pleasant touring and relaxation. Thanks to all who made this event a memorable one and of course for the invitation. Gradonna Mountain Resort****s Kals at Großglockner: You should experience it! Actually Kals is known regarding the ascent to Großglockner, but there are much more beautiful splitboard routes in the region of Ostirol. In the center of 3 mountain massifs, the Schobergruppe, the Glocknergruppe and the Granatspitzgruppe this area is great for living your mountain dreams and do some excellent touring for a few days or for some lives, as well. Here you get some touring possibilities at the Region around Kals at Großglockner. 21. March 2014 - 13:58— Log in or sign up to post comments. Great **** Accomodation...... looks like you are grounded for some "selbstversorger"-Hut-Camps. 21. March 2014 - 14:10— Log in or sign up to post comments.